"I sell the home AND everything in it!" 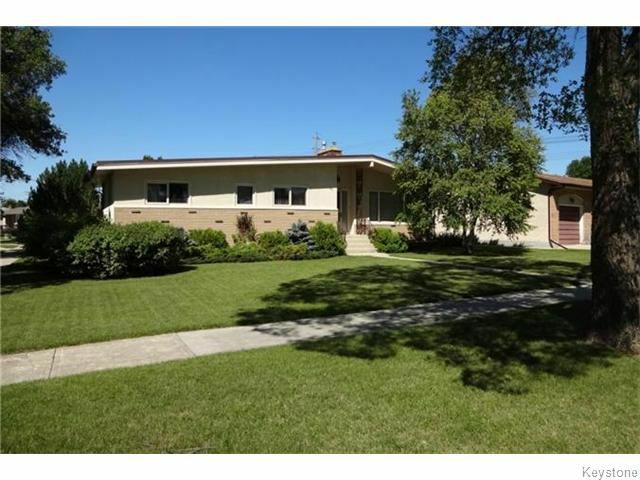 Fantastic Garden city Bungalow! Everything you could want: Close to schools, parks, transit, and shopping. Lovely curb appeal with flower garden and mature trees. Very solid with steel beam construction. Sprawling 1400+sq ft layout with 3 large bedrooms, 2 baths, HUGE eat in Kitchen with granite counter tops, oak hardwood floors, tons of storage and natural light. Double garage and finished basement. Endless upgrades: $40000 kitchen, brand new furnace, windows. hwt, All appliances included...Wow! Worth a look! Maples/North Kildonan specialist Realtor Real estate agent in Winnipeg.